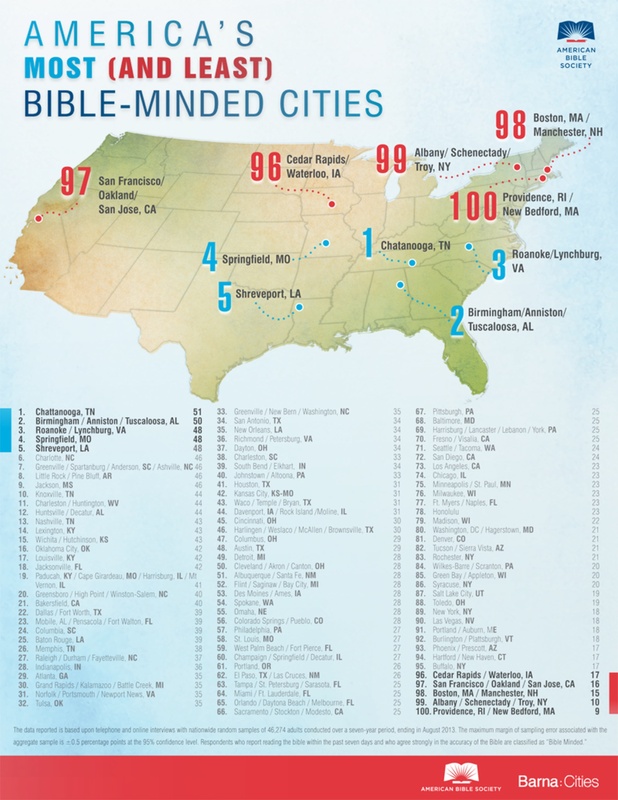 This infographic by the American Bible Society shows 100 US cities ranked according to how “Bible-minded” they are (click to enlarge). Good to know there are places more godless than Vegas. To calculate each city’s ranking, The Barna Group collected data by analyzing survey respondents’ Bible reading habits and beliefs about the Bible. The most Bible-minded respondents said they had read the Bible in the past seven days and believe strongly in the accuracy of the Bible. Nationally, 25 percent of the population is considered Bible minded.